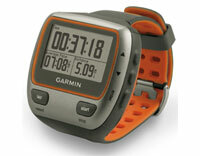 Garmin Forerunner 310XT HR (010-00741-01) €203.00 - buy online at mysatnav.ie - Ireland's leading GPS & Sat Nav store. The Forerunner 310XT is the ideal fitness watch for the all round sports enthusiast. This is the first fitness watch by Garmin that is completely waterproof to a depth of 50 meters so it is easy to move between different sports - whether you are swimming, running or cycling.